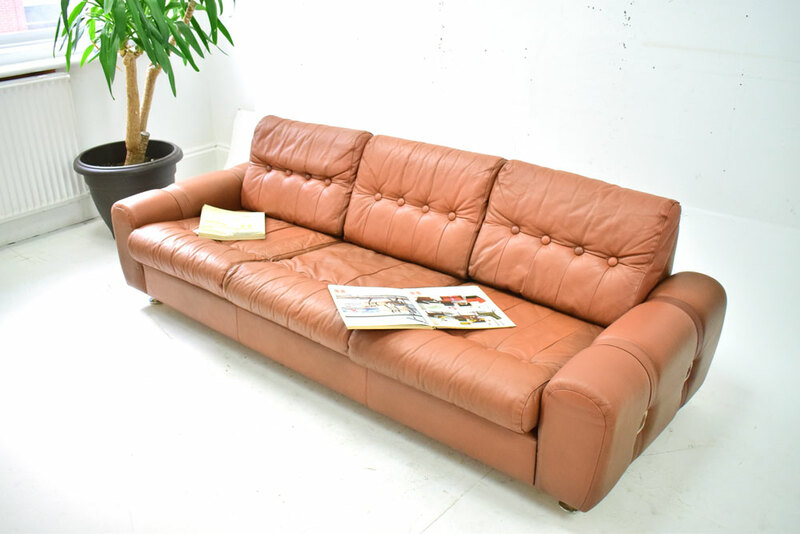 Vintage very low 3 seat sofa in brown colour leather upholstery with arm straps. 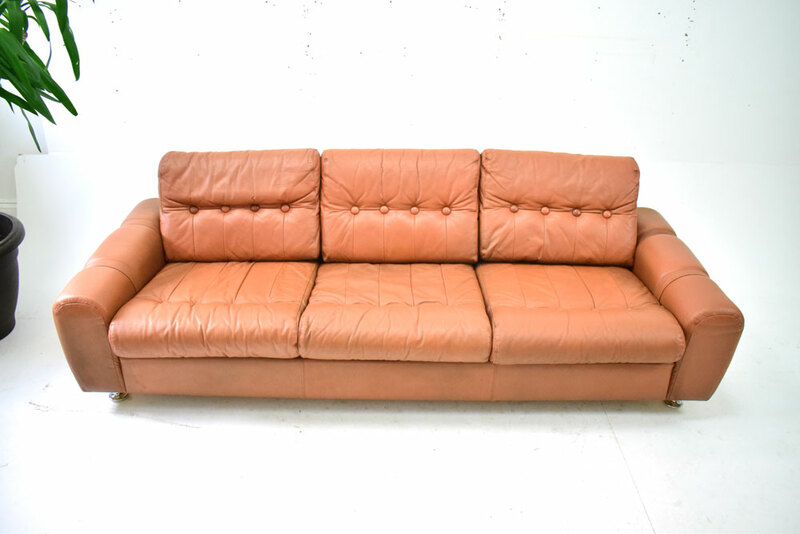 Brilliantly comfortable and eye catching vintage Danish sofa with light browncolour leather upholstery and 1970s buckles on the arm rests. 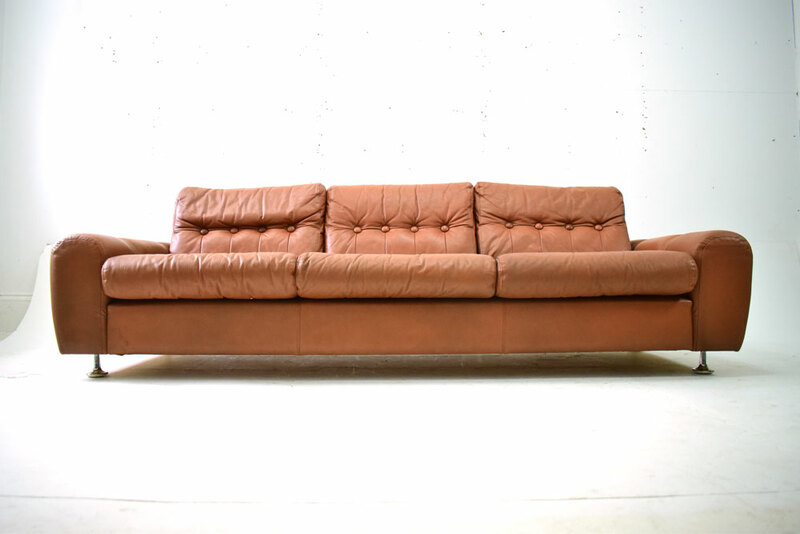 This lovely and comfortable 3 seat sofa offers comfort in a stylish period frame / design while not taking up too much valuable room space. 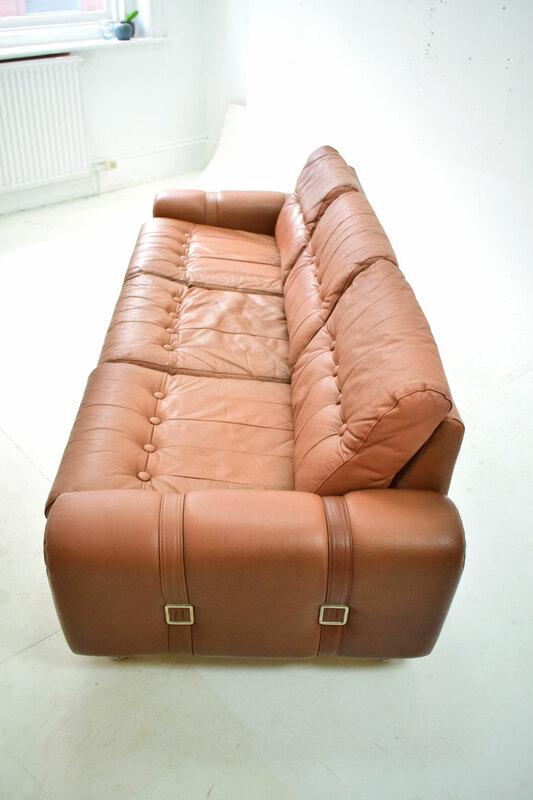 The loose cushions are all soft but supportive and the buttons set them off nicely to the square arms. 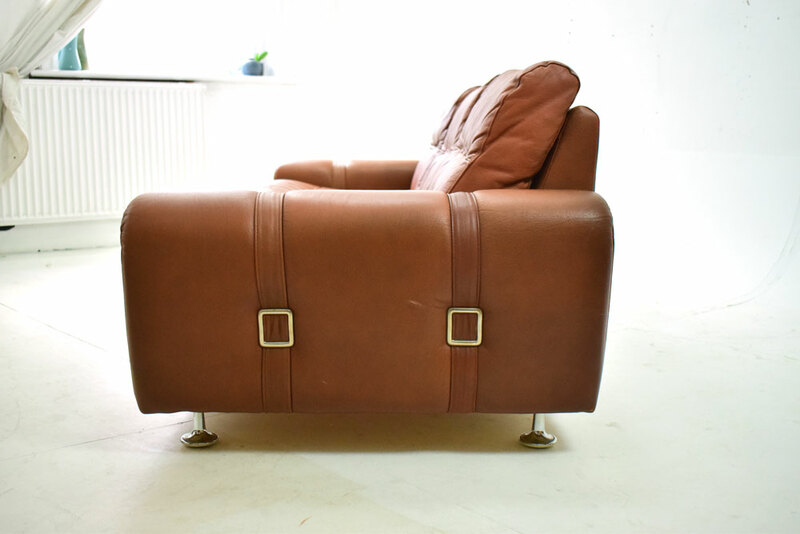 Each arm has a pair of arm strap with metal buckles. 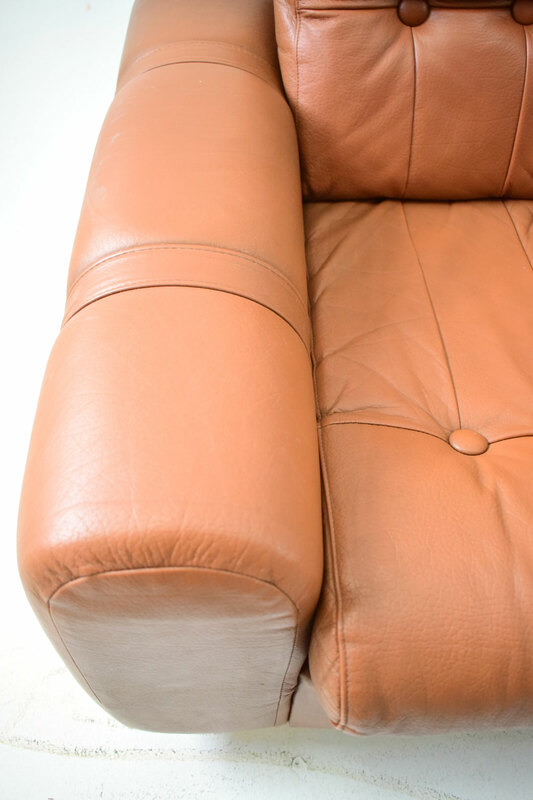 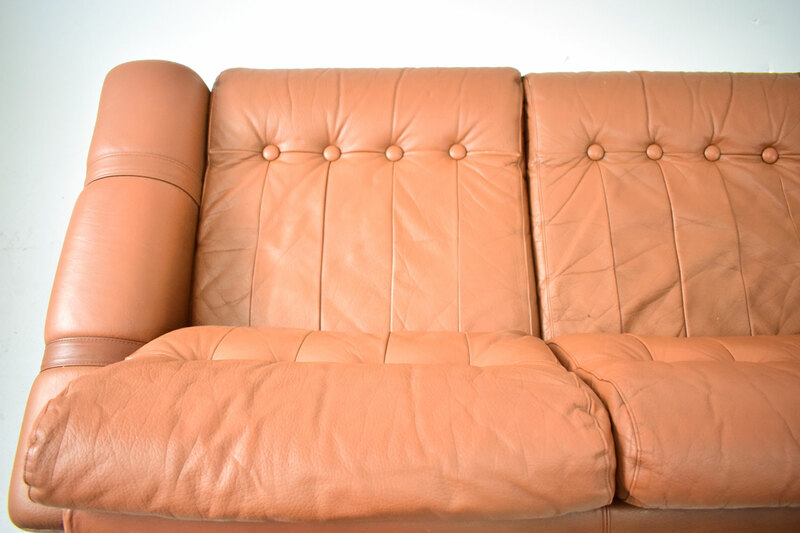 The leather has aged well, become lovely and soft and now has a "worn" look but is far from worn out. 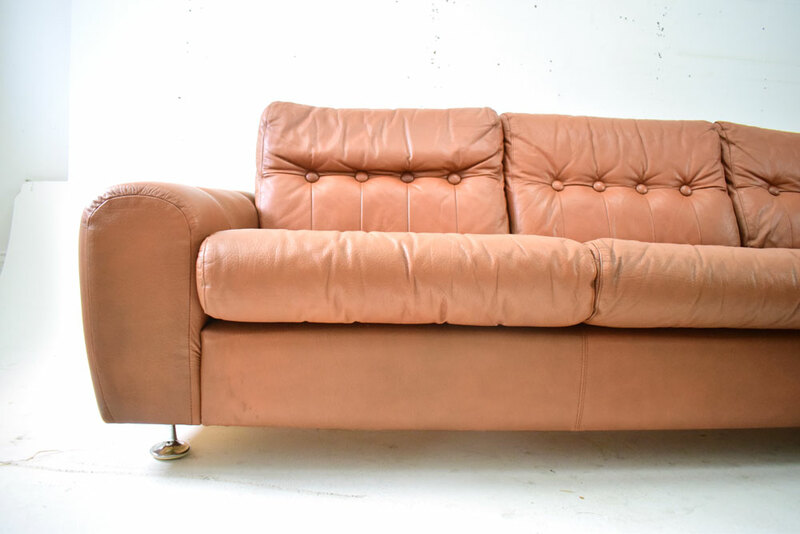 The legs on this lovely sofa are chromed at the front and chromed castors at the back making it easy to move the settee. 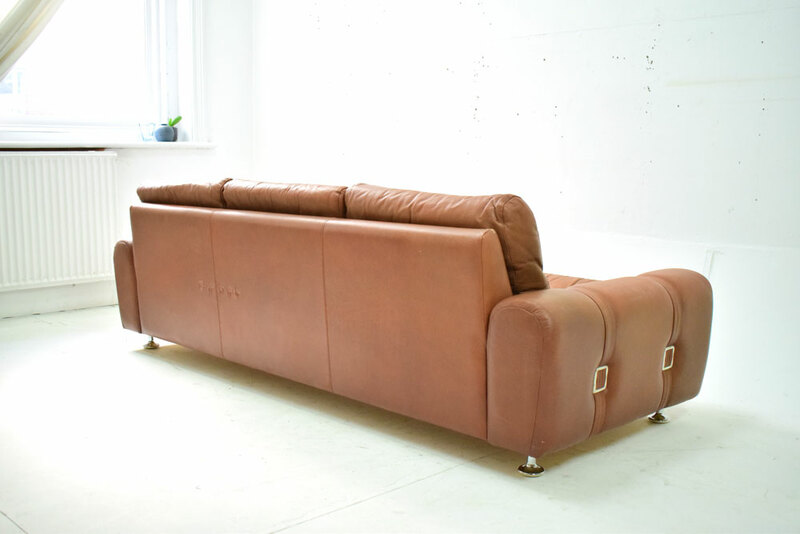 The sofa can be dismantled for easy transport / delivery.